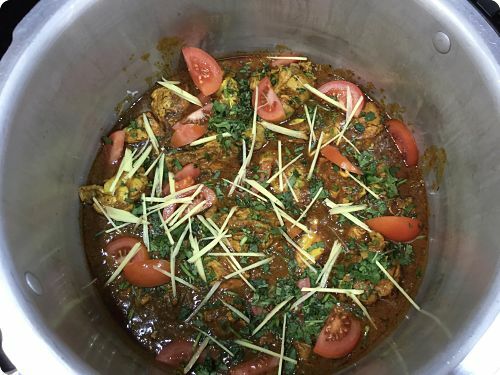 Skinned Chickens marinated in a special bend of herbs and Spice,tasty biryani sauce fragrant with fresh Coriander,Tomatoes and sliced Ginger. Beautifully plump long grain Basmati. Exploding with flavour and stained with Saffron. That looks pretty tasty. I do like biryani, particularly fish. Nice one Livo above feeds 10 gready portions, it’s a very flavourful biryani and great for large events. Fish is a tricky one! 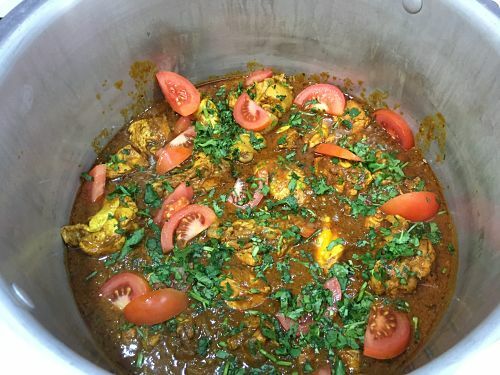 I see your posting an update on your Tandoori cooking tomorrow so I look forward to your post. 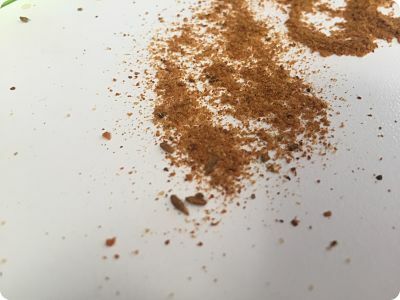 What is in the "special bend of herbs and Spice"
Re the Laziza Biryani mix, I have not tried it, simply because those mixes that I have tried all include ground spices, which I regard as anathema when cooking rice. May I ask whether the Laziza Biryani mix (I use Laziza in other contexts, e.g. 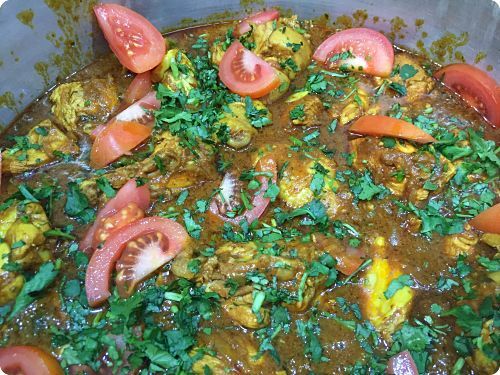 Laziza Karahi/Fry masala) includes ground spices, or only whole ones ? When making a biryani, I will normally use (whole) cassia bark, tej patta, star anise, green cardamom, black cardamom, kala jeera, cloves, saffron and garlic flakes — the first six are fried, the last two added with the water. Welcome to the forum littlechili your Biryani looks good. long was the cook on this? Hey Chewy I’m using Veetee extra long Basmati for Biryani, We find it meaty, flavourful and visually beautiful. VeeTee Basmati is harvested from the foothills of the Himalayas. These hand-picked, mature grains of rice are selected for their superior quality and aged to perfection. So VeeTee Basmati has a long grain, delicate aroma and is fluffy when cooked - just like great Basmati ought to be. copy and pasted. 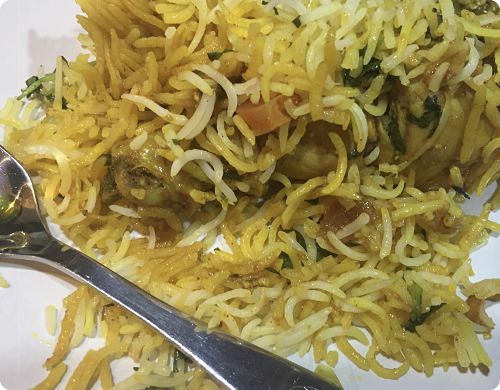 Chicken Biryani was a one pot cook Phil if you dismiss the rice being part cooked separate. Sorry the title didn’t show for you. Ok so it’s time consuming but I believe well worth the time. First is the Bhuna of 2 large onions, three spoons oil add chopped Garlic, close to end of Bhuna add G+G paste, salt. Reduced heat till Bhuna is complete. Then add blended plum tomatoes herbs and spice, fenugreek and cook out till oil rises. I never time the above stage as it’s prep to me, once Chicken is added then Cooked for 10mins until sauce is consistent. We then add my rice cooked at 50% after 10 minutes cooking of absorbed method (1to1) ratio. Then I deal with foil and lid on top for a further 8 minutes on a low medium flame till steam is escaping. Once this is evident shut off the Gas and it’s will sitting covered for another 10mins. So ignoring the prep or Bhuna time it’s. 10mins for chicken to part cook, then 10 minutes on a medium heat to steam. And finally 10 minutes minimum to steam off Gas. Total 30 minutes + time for faffing about with foil and things all non inclusive of prep or Bhuna. Chewy, I know you’re already aware of my additional comments below but I want to point out for anyone else interested in cooking Biryani some points that make it impossible to follow a recipe and achieve the same results. 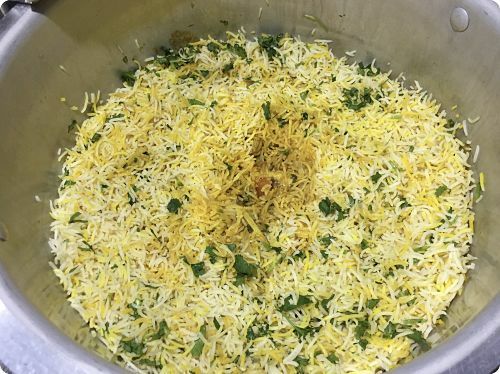 Time of cooking and heat output will differ depending on what pot you cook Biryani in, the size of or type of meat will alter time.. Also the amount of rice used and how and to what point the rice is cooked will effect the time considerably and steam production. Even the shape and style of of pot will effect the outcome. Now I have finger strains from typing. Phil just seen your question? Yer Laziza Biryani mix is powerful mix and very floral in flavours and sent, I advise not to overuse it. It’s a coarse mix with some fine grind. But used correctly it’s individual ability to lift flavours it special. Phil just seen your question? Yer Laziza Biryani mix is powerful mix and very floral in flavours and scent, I advise not to overuse it. It’s a coarse mix with some fine grind. But used correctly it’s individual ability to lift flavours it special. OK, great. I need to go to Plymouth this week (nearest Asian supermarkets) so will get some while I am there and report back. What I probably failed to appreciate is that the Biryani masala is to be used to cook the meat, not the rice, in which case the presence of ground spices is of no concern.